Welcome to Hubtel! 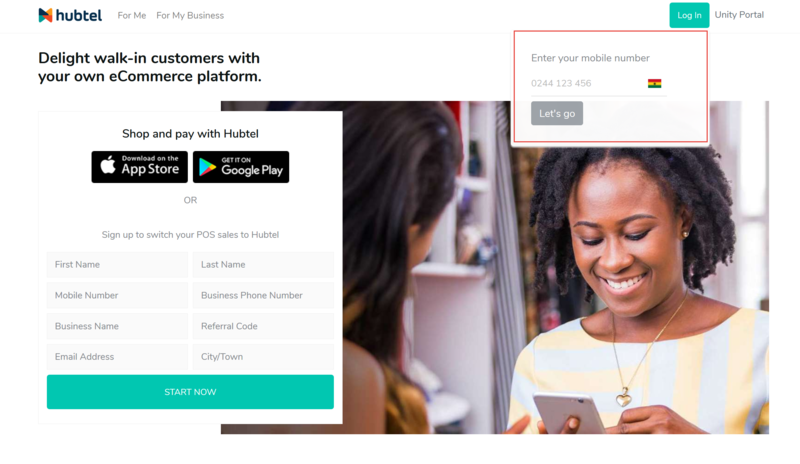 Whether you're opening a new online store or interested in using Hubtel as your eCommerce platform, we will help you answer the all-important four W’s : what to sell, when to sell, where to sell, and who to sell to. Find out more about how you can use Hubtel to balance a positive customer experience, available inventory, and the ability to meet customer’s future needs in a timely manner. Get started by visiting www.hubtel.com. Click Log in from the top left corner. 3. 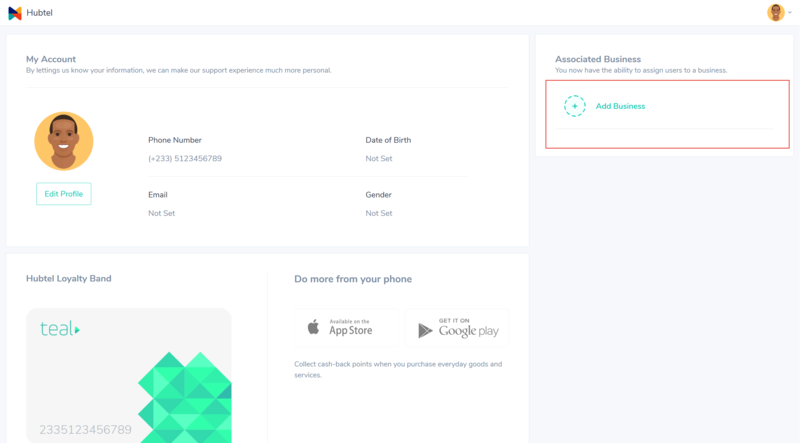 Once logged in you will land on the My Account page, click Edit Profile and provide all the necessary information about you. 4. Click on the Add Business button. 5. Fill the form with the information about your business and click Save. All the information is required. 6. Your will be contacted within the shortest possible time by a Hubtel employee to create your account.